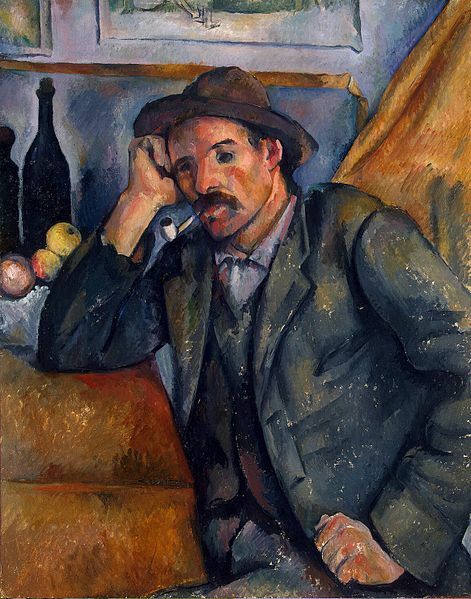 Although perhaps best known for his repetitive, almost obsessive landscapes of Le Mont Saint Victoire near his home town of Aix-en-Provence, and his groupings of apples and oranges painted as simplified geometric forms with zealously applied paint strokes, the so called father of cubism, post-impressionist master Paul Cézanne also painted another set of rather astonishing works which in my opinion easily qualify as some of his most captivating works. 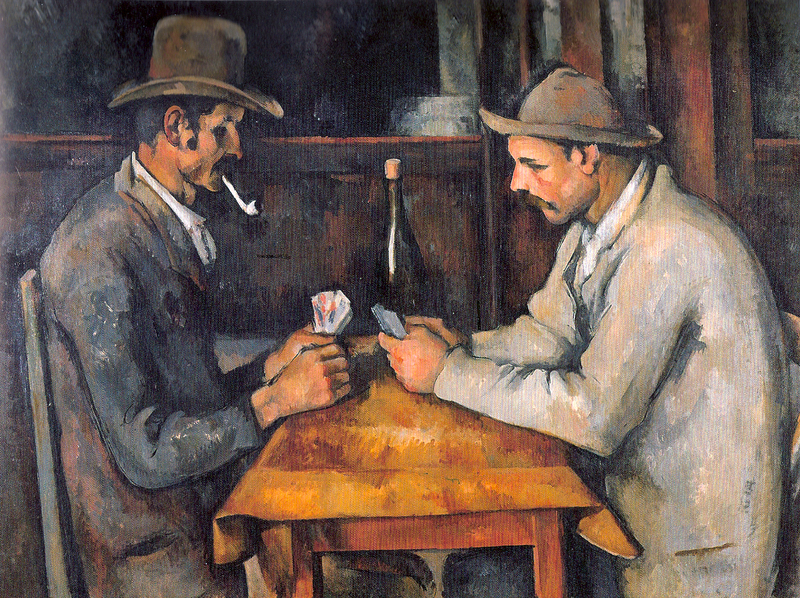 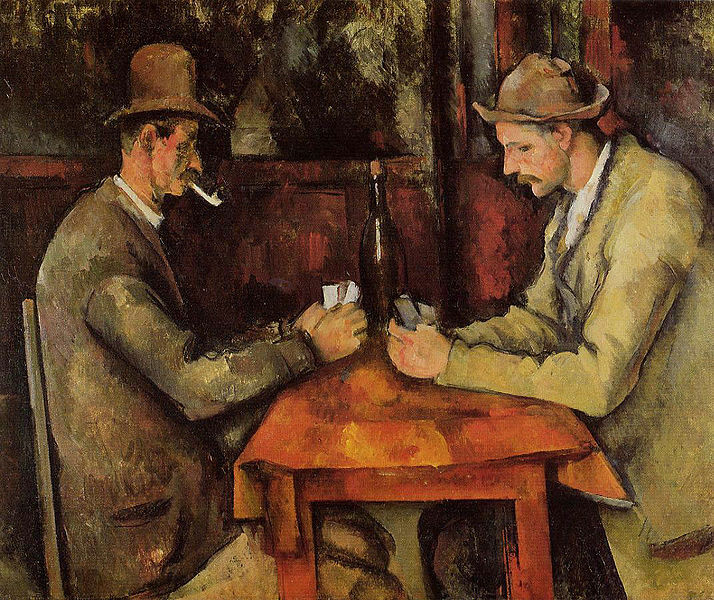 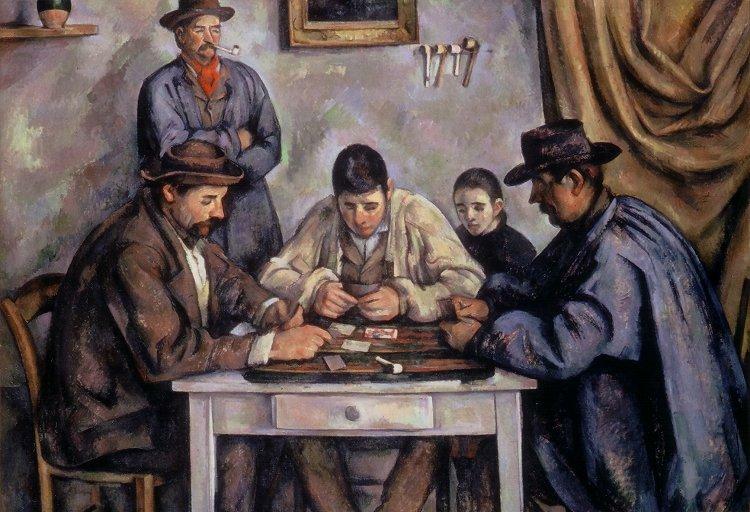 A gloomy tavern, a waxy dark tablecloth, a set of playing cards and the concentration of two card players, focus furrowed deep into their brows as we look upon them in the midst of a game – I am of course talking about Cézanne’s Card Player series, a series of some 5 paintings and numerous preparatory sketches, in which Cezanne took the tradition 17th century French and Dutch genre painting style of a rowdy tavern scene, and reduced it to a simple card game, full of intensity and, surprisingly for its tavern setting, sobriety. 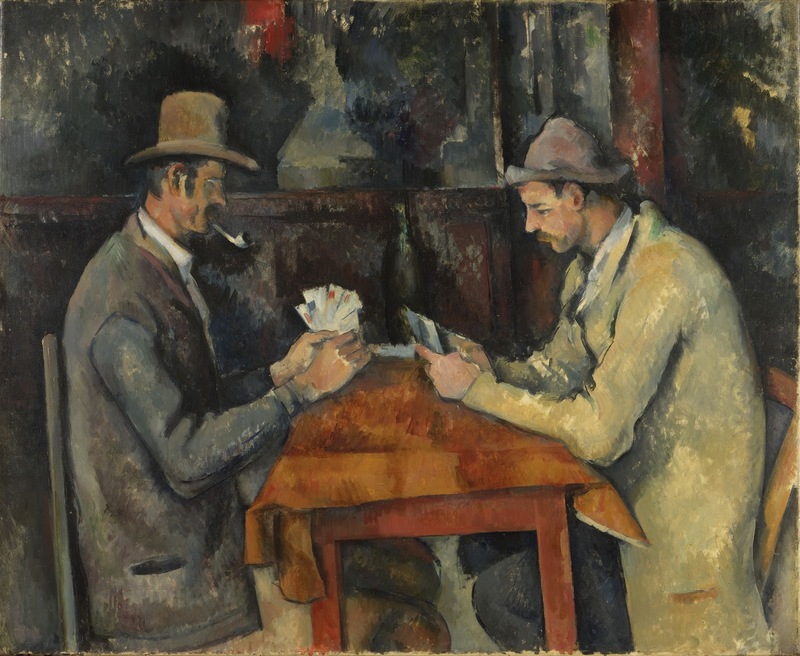 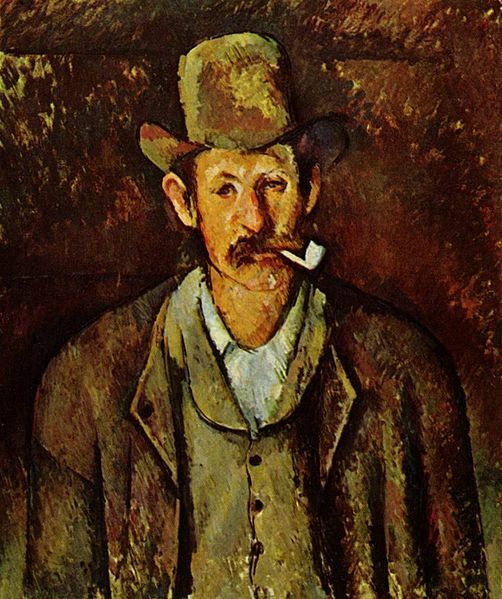 This now familiar composition by Cézanne, one of which hangs so happily close to me in London’s Courtauld gallery, made the headlines as recently as last year, when sold to the Qatari royal family for around $275 million, it became the most expensive piece of art work ever sold. 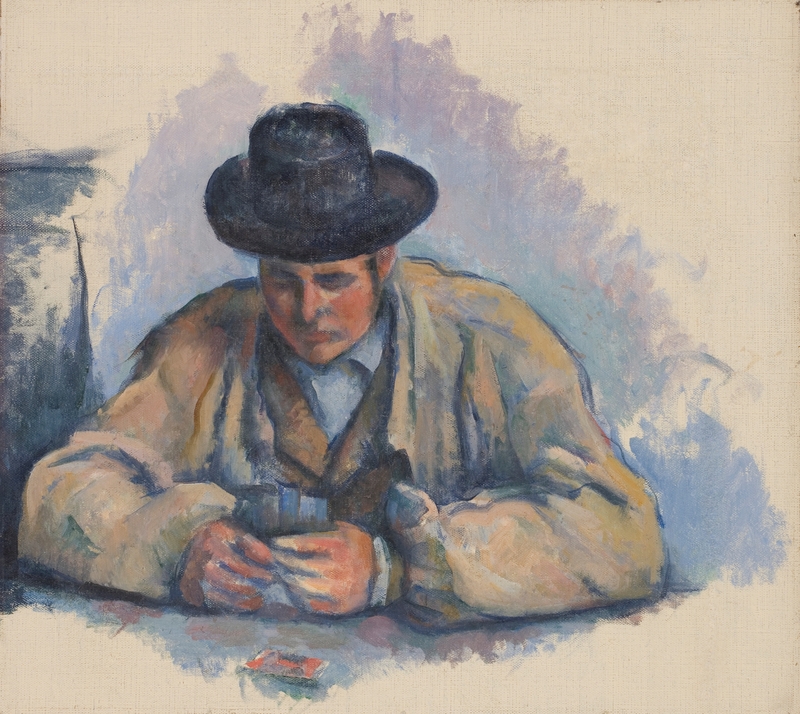 While the price may be bonkers, and the painting’s final destination into a private collection lamentable, the art loving public can at least be reassured that four versions of the work remain on public view and as if that wasn’t enough, on top of that, the Norms have now staged their own version too! 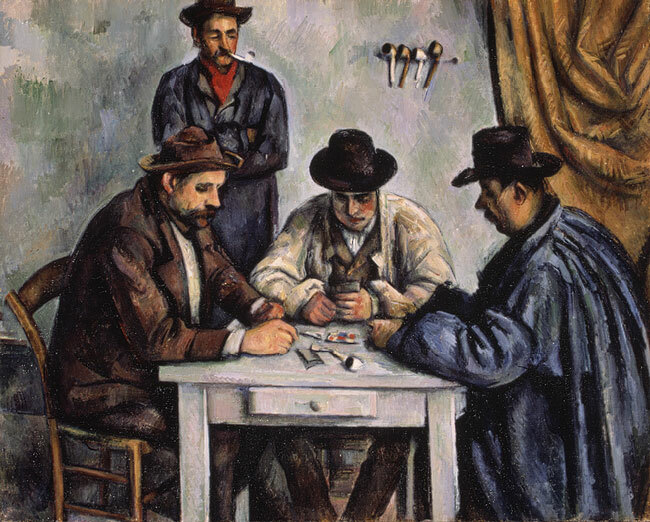 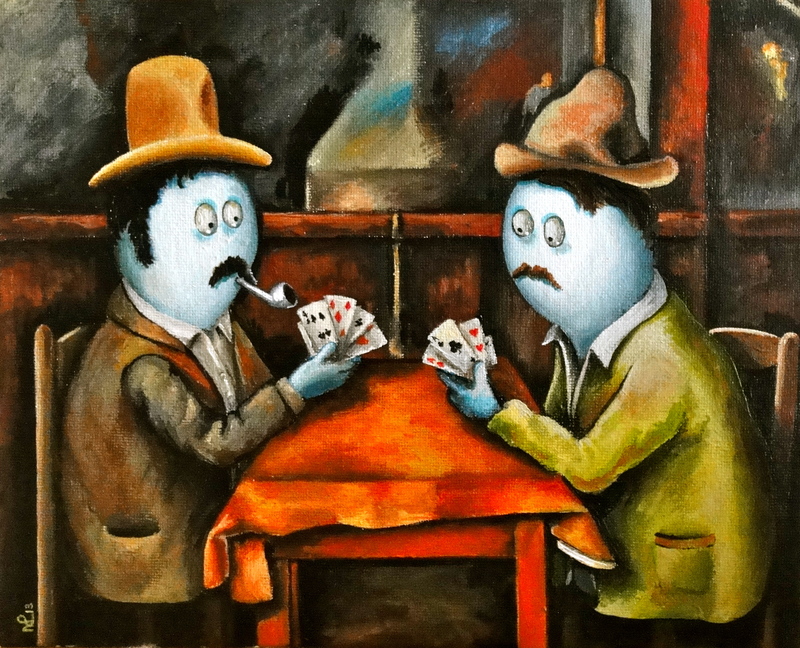 So without further ado, I leave you to enjoy the Norm Card Players, in this almost still-life, intense moment of concentrated card play. 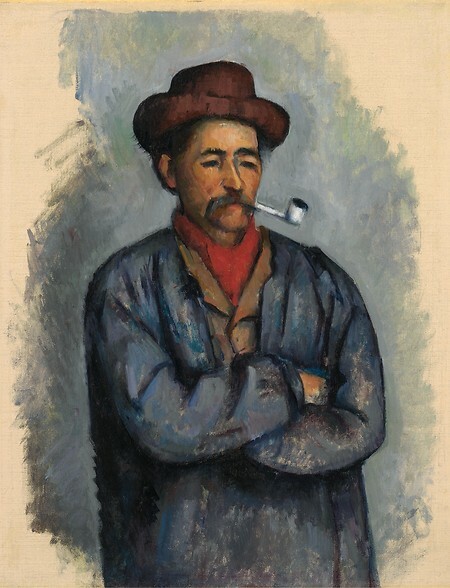 And some of Cezanne’s originals are included too.